The Basil Bee: Turkey for Tacos! 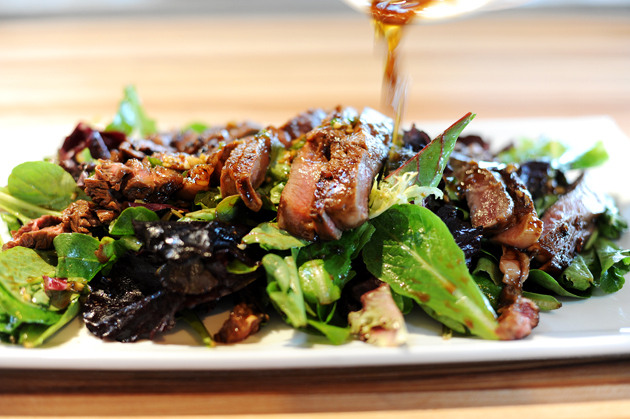 I have to quickly blog about this recipe I stumbled across online and share it with you all. Unfortunately, my camera was lifeless last night as I left my charger at work, so I have no pictures to post, but like I said, this is blog worthy enough and her pictures do justice! I love tacos but the meat and grease that goes along with it and taco packets are filled with sodium and high calories that quite frankly I'm trying to avoid...and then Gina's Skinny Recipe's Blog http://www.skinnytaste.com/ came across my eyes..you have to try this! It's super quick and easy and for the most part, you probably already have half the ingredients in your fridge, pantry and spice cabinet.. My hubby loved it and devoured a few of them..the turkey meat tasted soo good you would have never knew the difference. This is also WW friendly! So enjoy and check out my new favorite blogger! I feel your pain, I also do not like the grease. 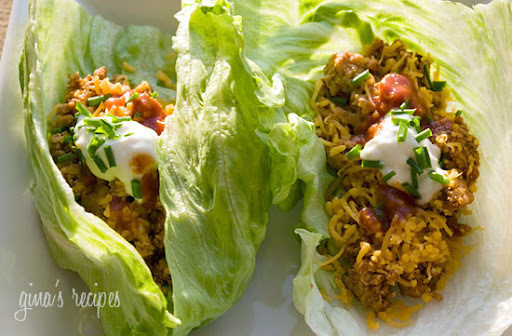 These look fantastic and I also love lettuce wraps! mm it was soo good but try and use boston lettuce cups because my icebergs kept falling apart! enjoy!